Much of my recent Arctic obsession has been historical, with a related interest in the hostile environment that has stymied (and killed) so many explorers over the centuries. Bruce Parry is a British documentarian (didn’t know that was a thing, but it seems fun) who seems to be dearly loved and some kind of national institution to the Brits. 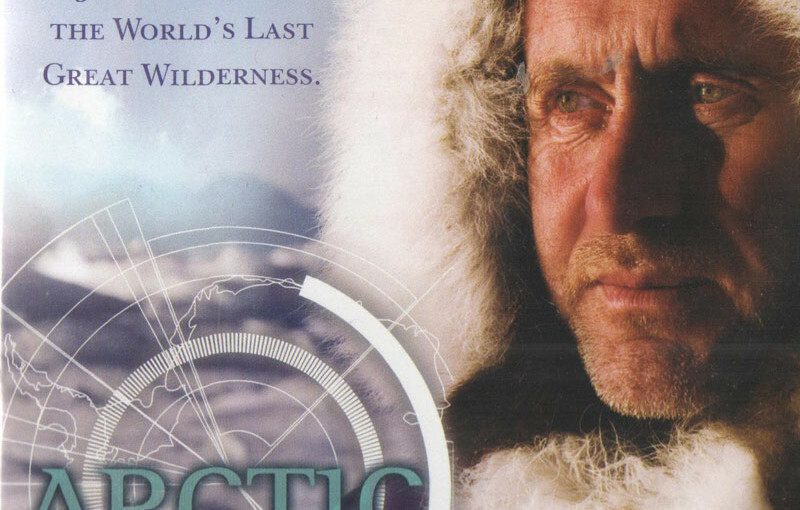 After watching this five-episode BBC series on the Arctic and its people, we could understand his charm. 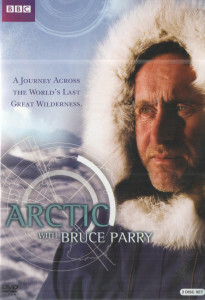 Parry visits people living in Siberia, Greenland, northern Canada, Alaska, and the far north of Norway. He throws himself into their activities – whether rounding up reindeer, hunting for seals on the ice, fishing in Alaska (I had some serious lifestyle envy at this point), or racing up mountains. He is sensitive and respectful, and seems to forge genuine bonds with the families he visits. The common thread that marks the lives of many of the tribes and peoples’ that Parry visits is that climate change, and the encroaching changes wrought by the pace of modern life, are challenging their traditions and lifestyles. Having lived sustainably off the land for generations, these people’s movements, traditions and futures are now circumscribed by all sorts of interventions from modern society. Not least of these is a lack of understanding of and respect for how they live. The series was filmed over the course of a summer, during which time much of the usual ice that marks the Arctic landscape was absent. The look of the landscape initially puzzled (and disappointed) me – without the icy covering, everything looks quite barren and gravelly! You can get the dvd here (South Africa), otherwise here or here. There is not much to say about this BBC Earth production, other than that it is excellent, contains shark and ray footage unlike anything you’ve ever seen before, and you must watch it. The DVD is now available in South Africa (and of course in the rest of the known world), so you have no excuse. It was filmed over two years, and from the thousands of hours of footage, three episodes were distilled. The focus is on elasmobranchs, which is slightly broader than the title suggests (but Shark is more catchy). There is a fourth episode devoted entirely to how the series was filmed, including interviews with the camera operators, which was fascinating. I enjoyed seeing the gear they used – as a scuba diver – as much as I did getting an insight into how they framed their shots and told the stories of the different species. A repeated realisation I had watching this episode was how close one has to get to the animals to obtain the kind of footage required for a broadcast-quality production! 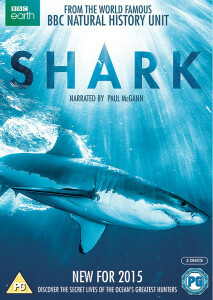 I admit that I was frustrated by the brevity of the series – just when I got into it, it seemed to end – but I understand the desire to show only the very best material, to hold viewers’ attention, and to stay focused on the message (which is essentially that sharks are misunderstood and more important, complex and interesting than you may have thought). The series has a strong scientific bent, explaining how scientists’ work assists with conservation and management measures, and how it illuminates the lives of sharks beyond them simply being a potential threat to beach goers. Individual scientists are interviewed in the field, and are shown taking samples, tagging and observing the animals they study. Not all of those scientists were men, ensuring that the program will inspire a new generation of shark scientists of both genders. Thank you, BBC. The series does a good job of showing sharks other than (in addition to, really) the large, charismatic ones that we’re familiar with as South Africans. Sarah Fowler, co-author of Sharks of the World, said in a talk we attended some years ago that the “average shark” is not a five metre long behemoth with a multitude of sharp teeth. The vast majority of shark species are smaller – say half a metre long – and very unassuming. The catsharks, pyjama sharks and shysharks are the everyday, many times more numerous sharks who get far less press, good or bad, than their larger compadres. The BBC’s Shark was apparently a welcome addition to Discovery’s Shark Week 2015 – a complete departure from the made-up, mendacious fluff that has been served up on that channel in previous years. Long may it last! Get the DVD here (South Africa) otherwise here or here. 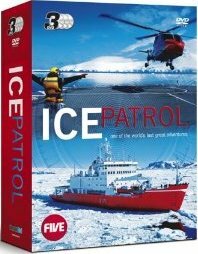 Ice Patrol is a four part BBC documentary featuring the British naval ice breaking ship HMS Endurance, named for Sir Ernest Shackleton’s polar exploration ship that set sail in 1914. Endurance is much like our SA Agulhas II, except the South African polar research ship is run by the department of fisheries, whereas the British entrust theirs to the navy. The producers of the BBC series Frozen Planet made use of Endurance as a platform for filming in the polar regions – ships with ice breaking capabilities and high tech steering systems are relatively uncommon. The series starts with Endurance docked in the Falkland Islands, and follows her and her crew through a couple of Antarctic missions during a period of several months in late 2008. They land at South Georgia Island, where Shackleton sought rescue for his crew from Norwegian whalers based there, and visit the old whaling station (as an aside, strangely, we don’t see a single live whale throughout the ship’s time at sea). A group of marines re-enact Shackleton’s trek across the island as a training exercise, which proves to be a tough proposition even with modern camping and climbing equipment, skis, high quality outerwear, and the support of a helicopter for part of the trip. Scientists take sediment cores in order to study climate change, and others conduct an aerial survey of seal populations. We meet a variety of penguins, and members of the crew even pay a visit to a US Antarctic base (Palmer Station) – which has a gift shop! The final episode is concerned with a catastrophic flood in the engine room that occurred in the Strait of Magellan off Chile (fortunately close enough to help that the civilians on board – the cameramen and producers for the documentary, one assumes – could be airlifted to safety). The ship was nearly lost. The documentary series presents this incident (and other minor whoopsies) in an embarrassingly dramatic light, but it seems that the flooding of Endurance was really that serious. She is going out of service in 2015, the damage she sustained being too costly to repair properly. After reading Alfred Lansing’s book on Shackleton’s original expedition to the Antarctic, I have been obsessed with the icebound regions of the planet, and this is why we ended up watching Ice Patrol. Perhaps it’s not what everyone would consider gripping television, but we found it very enjoyable. The scenery is beautiful, and the glimpses of shipboard life and navy formality (sitting around on the bridge wearing hats, extreme formality mixed with corporate jargon when addressing one another…) are quite entertaining. You might be able to get a copy here if you’re in South Africa, otherwise go here. 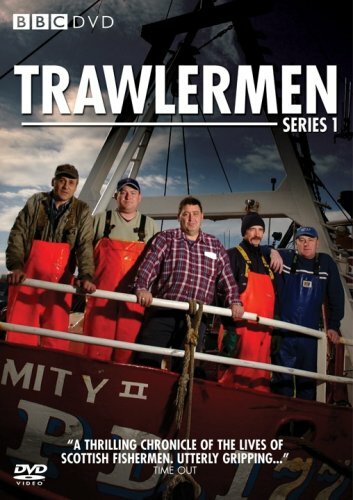 Trawlermen is the British version of Deadliest Catch and the related spinoff series (Tuna Wranglers and Lobster Wars among them). The series (five episodes in this season) charts the activities of several fishing trawlers working in the North Sea out of Peterhead in Scotland. Having watched a lot of Deadliest Catch, we were well equipped to marvel at the restrained, unsensational voice-over narrative. The structure of the show is far more episodic, and each episode’s subject or arc is revealed early on. The trawlers fish mostly for prawn, dragging huge nets along the sea floor. The bycatch from prawn trawling is significant, but I confess that I didn’t find it as horrific as I’d imagined it would be. Many of the fish are gutted and boxed for market, so not a lot of it seemed to go to waste. I do suspect that the full extent of the bycatch wasn’t shown. Trawling is incredibly, unbelievably destructive – for a scientific view on that, this article is a good start. The trawlers also catch Greenland halibut, cod, squid, and a few other kinds of fish. They however are limited by EU regulations to a fish catch (technically bycatch) amounting to no more than 65% of their total catch, because they are prawn trawlers. Excess fish must be thrown overboard, whether it’s dead or alive. One of the boats pulls up a number of huge boulders, as well as a torpedo while fishing in Norwegian waters, which the crew swiftly decide is not live (it was full of sea water). They position the torpedo on deck, pointing away from the superstructure of the boat, just in case it goes off! The boats are high-sided with deep holds in which there is a conveyor belt for sorting the catch. The smaller fish are gutted using a machine, while the larger ones are done by hand. Everything is flash-frozen in boxes, ready for market. The work on deck is dangerous as there are many moving parts, massive nets, and ropes all over the place. The crew are mostly quite reserved (with one or two camera-loving exceptions!) and speak in broad Scottish accents which – the producers of the series deem – occasionally require subtitles. This isn’t a glamorous or easy job, and the conditions in the North Sea are rough and very cold. I didn’t find this at all to be a rehash of things I’ve seen in other fishing shows; it was fascinating to see how a trawler works, having seen crab fishing, lobster fishing, and tuna fishing. If the voice of Armageddon style presentation of most Discovery Channel productions annoys you, try this very civilised BBC production. The DVD box set is available here or here. 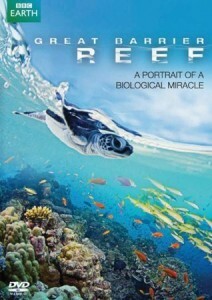 In the tradition of the BBC’s Great Barrier Reef and South Pacific documentaries we watched last year and earlier this year, Wild Caribbean transports one to a series of exotic destinations and – with the outstanding production values one expects from the BBC – introduces their micro- and macro- flora and fauna, as well as the physical characteristics of the location. Narrated in mellifluous tones by Steve Toussaint, with a wonderful musical score, Wild Caribbean transported us out of rainy Cape Town to the warm, shallow (and very deep) seas of the Caribbean, the thousands of perfect palm tree covered islands, the mangrove forests, and the magnificent coral reefs. There are four episodes, and we enjoyed the middle two – Wrecks and Reefs and Hurricane Hell – the most. In the episode about the abundant shipwrecks and reefs in this part of the ocean, we saw footage of the Kirk Pride, lying in nearly 300 metres of water on the Cayman wall. The area is prone to hurricanes, and these events will only increase in severity and frequency as the planet warms up. The episode devoted to hurricanes is both terrifying (with some amazing footage of storm surges) and comforting – in most cases, the coral reefs, forests and animals are able to recover and thrive after these severe storms have passed. I was also thrilled to get a glimpse, in the fourth and final episode, of the cenotes of the Yucatan peninsula in Mexico, haunt of cave divers and redolent with history and spiritual significance to the people who lived there. Aerial footage (which is used extensively) of the Great Blue Hole of Belize was also alluring. Chance of being murdered aside, the Lesser Antilles islands of Aruba, Bonaire and Curacao struck me as very promising diving destinations – particularly Bonaire. It is an extremely arid place with very little runoff due to erosion and rainfall, so the coral reefs surrounding it and Curacao are washed by crystal clear water and bathed in abundant sunlight. 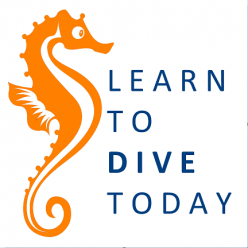 For divers, there is also magnificent footage of whale shark aggregations off the island of Utila, and of massing stingrays at “stingray city” at Grand Cayman, where one can stand in waist deep water and feed stingrays by hand. Humpback whales, orca and turtles also pass through these waters, which boast an almost dizzying array of macrofauna in addition to the coral reefs and tropical fish. This is a wonderful production and we enjoyed it immensely. There is a companion book that looks beautiful, too. You can buy the DVD here (South Africa) otherwise here. We first encountered brinicles in the BBC’s Frozen Planet series. They are tubes of ice that grow underneath the Antarctic sea ice, driven by the salinity differential between ice and seawater. Wired.com features a beautiful photo set showing these bizarre, relatively recently discovered ice formations. Another expensive (and totally worth it) production from the BBC, Frozen Planet presents an exploration of the polar regions of earth, focusing on the wildlife and natural processes that make these areas so special. There are episodes devoted to each season of the year, flanked by an episode providing an overview of the polar regions and one dealing with human activities in these areas. A special feature on climate change wraps up the series. Each episode is followed by a ten minute feature called “Freeze Frame”, which explains how particular footage was obtained – usually through a combination of ingenuity, luck, hardiness and persistence. The series was dogged by two controversies, one minor (to my mind) and another somewhat more significant. The first involves a very brief piece of footage showing a polar bear mother and her newborn cubs. Rather than being filmed in the wild (which would have been almost impossible, if one thinks about it, because the mother bear is in partial hibernation under the snow while she gives birth), the footage was captured in a zoo. The way in which the footage is interspersed with shots of polar bears in the wild is somewhat misleading, and the voice over gives no indication that the mother and her cubs are in captivity. The second controversy involves climate change, and the increasingly popular anti-science stance espoused particularly by the religous right, a powerful political lobby in the United States which has managed to transform a purely scientific issue into a political one. 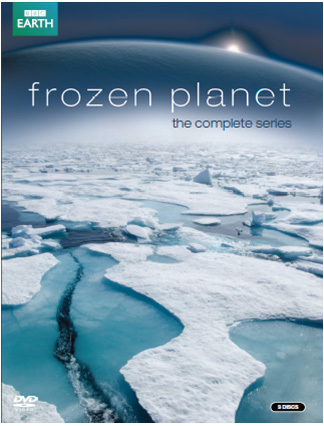 In a special feature on the third disc of the set, which deals with the changing polar environment as more and more ice melts each year, any mention of the causes of climate change is avoided, and host David Attenborough intones “The days of the Arctic Ocean being covered by a continuous sheet of ice seem to be past. Whether or not that’s a good or bad thing, of course, depends on your point of view.” Rather than taking a definitive evidence-based stance on the fact that global warming is a result of human activity on the planet – a view which is held by mainstream scientists who base their opinions on statistics, observations, experiments and hard evidence – the producers of the series chose to prevaricate in order to avoid offending a vocal and wilfully ignorant minority. These things aside, Frozen Planet is a magnificent production that shows the scope and complexity of these little-seen parts of our planet. The resourcefulness and adaptations of the animals and birds that spend all or part of their lives enduring the extreme climate and landscape of the polar regions are magnificent. There is wonderful underwater footage, showing penguins, orcas, beluga, seals, narwhal and whales hunting, socialising and feeding, and urchins, sea stars and corals far under the ice. The underwater visibility is astonishing, as is the courage of the cameramen who venture under thick ice into freezing water to obtain footage. Ice caves under Mount Erebus in Antarctica are spectacular and untouched, and the scale of the plateaus and mountains of the Antarctic is incredible. (In comparison, the Arctic seems like a bustling metropolis!) The completely hostile environment got me all choked up thinking about the early polar explorers who risked (and lost) their lives in efforts to extend the frontiers of human knowledge. The final episode deals with man’s presence at the poles (scientists in Antarctica, and indigenous people in the Arctic). I loved the footage of Longyearbyen in the Svalbard archipelago (on my “must visit” list). Tony and I particularly enjoyed the segment showing the Danish navy officers patrolling in Greenland, with fourteen huskies, a sled, skis, and a vast snowy wilderness larger than France and the UK combined. You can buy the DVD here if you’re in South Africa, otherwise here or here. The US version is narrated by Alec Baldwin. Deep Blue is a feature-length film comprising some footage from the BBC’s Blue Planet series (highly recommended) as well as previously unseen footage. Over 7,000 hours of footage were edited down to the original eight hour Blue Planet series, so there was a lot of material to work with. About 25% of the film is previously unseen footage. We watched the Blue Planet series some time ago, and only a small portion of the film looked familiar to me. Some may be perturbed by the lack of explanation of what is happening on screen (in most cases, the creatures depicted are not even identified), but this film offers an emotional appeal rather than a reasoned or scienfic one. I can imagine showing it to someone who doesn’t know or care for the ocean – it’s completely absorbing and transporting. 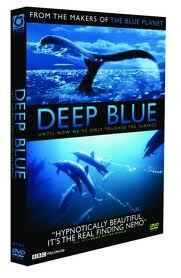 If you’re looking to learn something about the ocean from a DVD, I’d suggest you start with Blue Planet. But if you simply want to feel something (and there’s room for that in all human endeavour), this is a good place to start. The DVD is available here if you’re in South Africa and here if you’re not. I have been diving for nearly three years, and have a shortish list of underwater places in the world I’d like to visit. (Unfortunately each of them is ruinously expensive to go to, so we’re going to have to start playing the lotto – I’ve heard that this marginally increases your chances of winning.) The Great Barrier Reef wasn’t on my list until I watched this BBC series, narrated by Monty Halls. I now want to dive near the Great Barrier Reef, and perhaps on it. I’ll explain why further on. The series is divided into three one hour episodes. The first episode deals with the reef itself – the coral and creatures that live on it, and the incredible diversity of life that it supports – in exactly the sense you’d expect from a documentary about a giant coral reef that’s visible from space. It was the second episode, entitled “Reef to Rainforest”, that caught my imagination, however. Between the Australian mainland and the reef itself lies “the lagoon”, a wide expanse of sheltered water with an apparently featureless sandy bottom. Oases of life exist there, however: some of the corals and life forms that cluster together for shelter reminded me very much of what one finds when venturing off onto the sand at Long Beach (for example). There are also giant sting rays (the BBC footage of one of them feeding in the sand was slightly better than mine), hammerhead sharks, and all sorts of creatures that made me want to go and explore this apparent – but not actual – underwater desert. 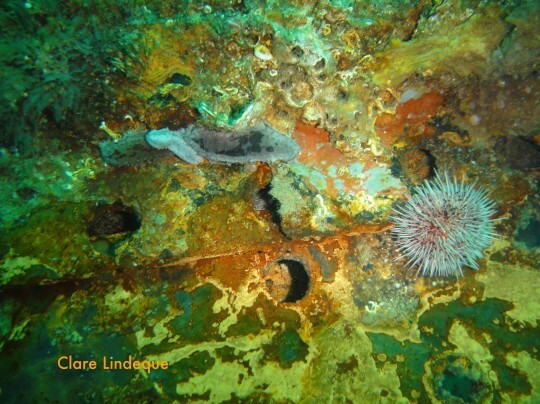 Halls also visits the wreck of the SS Yongala, a wreck in the lagoon area that supports almost unbelievable quantities of life. In close proximity to the wreck the water looks like fish soup, and larger predators whizz by causing the schools of smaller fish to make lightning fast direction changes. I must dive there. The third episode is also magnificent, documenting the creatures that travel for thousands of miles to breed, mate and feed on the reef. Green turtles, innumerable seabirds, dwarf minke whales, manta rays, and tiger sharks all visit the reef and benefit from its nutrients and habitats. Thousands of green turtles visit Raine Island to lay their eggs each year, and this uninhabited (and access-forbidden) island is also a rookery for a miraculous array of seabirds – boobies, frigatebirds, shearwaters, tropicbirds. You can read some of Halls’ thoughts on the experience of filming this documentary here. I’m jealous, not least of his opportunity to go nose to nose with a minke whale. He snorkels, paddles, walks about and dives through a variety of habitats, including a gloriously muddy mangrove swamp. His narration while wearing a full face mask is hard to listen to – poor sound quality – but in general he’s convincing and easy to listen to. You can buy a copy of the DVD here if you’re in South Africa, otherwise here. 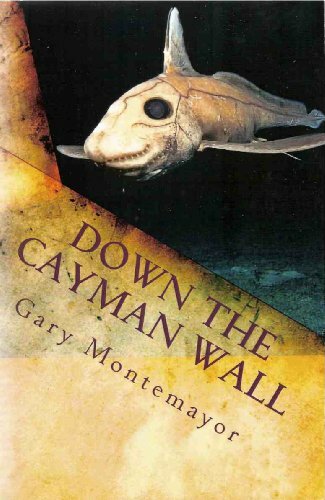 Down the Cayman Wall is the self-published account of submersible pilot Gary Montemayor’s time spent on the Cayman Islands. While the blurb and subtitle of the book indicate that it concerns the hunt for an improbably large shark, in reality the book meanders through various subjects all held together by the presence of the author. Montemayor spent several years on Grand Cayman piloting a research submersible that also escorted tourists into 1,000 metres of water down the almost vertical undersea wall surrounding Grand Cayman (he may have worked for this company; this one and this one also operate tourist submarines). The Cayman Islands are situated in the Carribbean and boast spectacular visiblity, making such deep water trips a viable possiblity. In addition to the visibility, the Cayman Islands are surrounded by jagged reefs which hold countless shipwrecks, making them a divers’ paradise. Montemayor’s description of island life, history and culture made me want to pack my dive gear immediately. Montemayor is a Richard Ellis fan, and cites Ellis’s books Sea Monsters, Great White Shark and The Search for the Giant Squid as inspiration and research material in his quest to figure out what giant undersea creature struck his submersible – with considerable force – during a dive. His account of the search begins with great promise, but Montemayor is distracted by the death of his free diving buddy Mauricio Solis, and describes their friendship, the events leading to Mauricio’s death, and the search for his body – first by divers, and then using the submarine that he pilots. This is a tremendously engaging and entertaining read, despite a lack of flow and the occasional feeling that the book was written by two different people. One of the apparent authors writes clearly and correctly – the other uses no punctuation or capitalisation, writes at the level of a 10 year old, and produces phrases like “caverness hallow” instead of “cavernous hollow”. There is also a curious note in the first chapter, addressed to the author and inserted into the text, along the lines of “Gary, don’t you think we should provide the pronunciation of Architeuthis in a footnote?” Perhaps this indicates the presence of an editor, and the curious sections of unpunctuated text are sections that he missed! You can buy the book here if you are in South Africa, and here if you’re not. If you want to read it on your Kindle, go here.